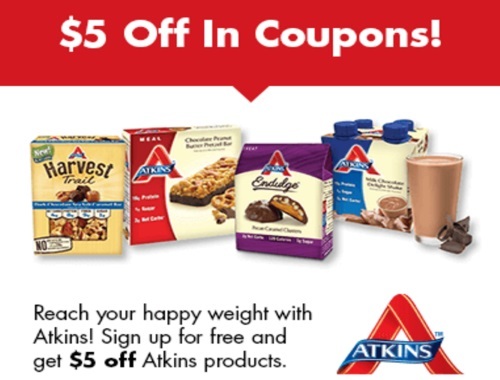 Sign up and receive coupons for $5 off any Atkins Product and Free Quick Start Kit. Signing up gets you access to a unique set of resources like a list of low carb meals, foods, and recipes designed to help you lose weight fast on the Atkins 20 and Atkins 40 diet. Click here to request your Free Trial Kit.